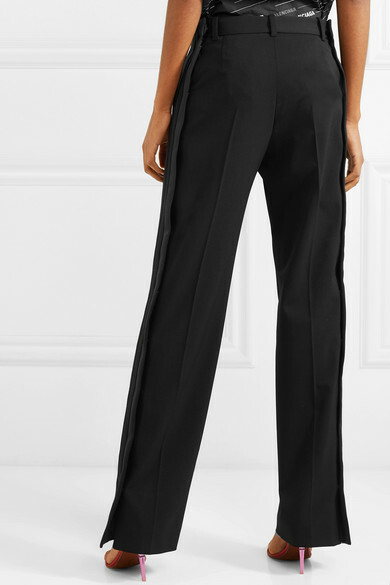 Just like retro sport styles, Balenciaga's pants have snap fastenings down the sides that you can leave undone - ideal for showing off barely-there sandals. 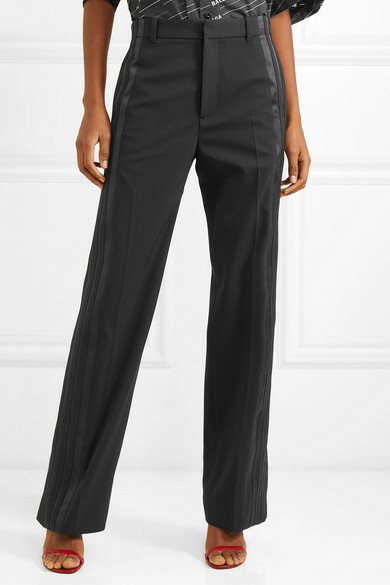 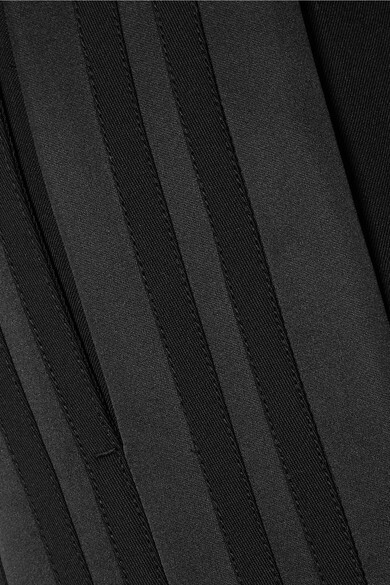 They're made from crepe trimmed with satin stripes and have a flattering high-rise waist. 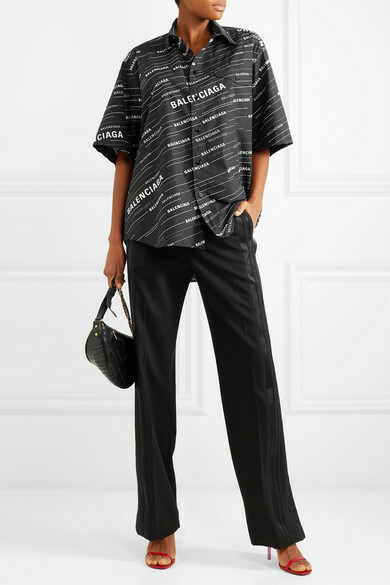 Tuck a printed blouse into yours. 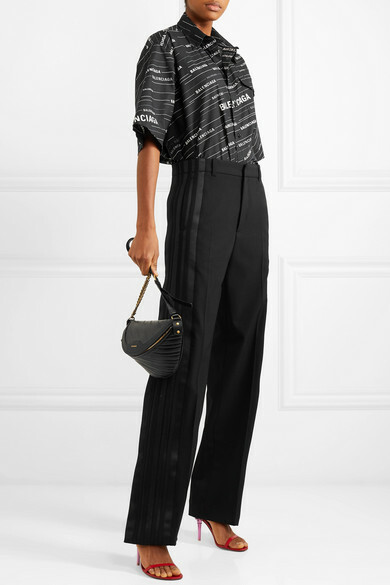 Shown here with: Balenciaga Shirt, Balenciaga Belt bag, Vetements Sandals.